School of Rock Lynn’s music teachers are experienced musicians devoted to helping students attain musical proficiency. From singing to drums to guitar, our Lynn music instructors inspire and teach students to perform live. With credits ranging from electric guitar performance for Riot Games and "The Walking Dead," vocals for IMC Games and "Hell’s Kitchen," cello performance for Namco Bandai and Nintendo, and musical composition for as wide a range of products as Rooster Teeth’s "RWBY" and Disney XD's "Beyblade Burst Evolution," composer and recording artist Mason Lieberman has worked with many of the top names in the industry. 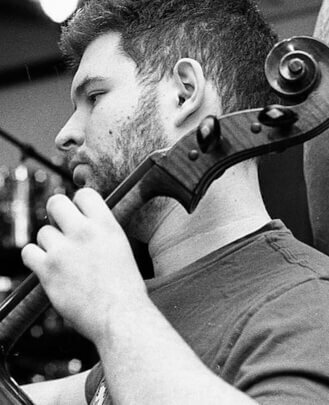 As an educator, Mason Lieberman has taught as a middle school music teacher at William Diamond Middle School in Lexington, Massachusetts. He designed and and has taught multiple courses on Video Game Scoring for Stephen F. Austin State University. 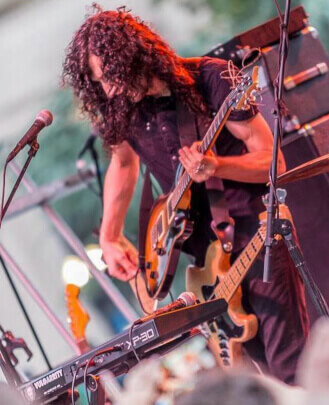 He is also a regular guest lecturer and public speaker both domestically and abroad, with his personal favorite engagements including speaking to the Berklee College of Music's Film Scoring and Video Game Scoring departments, respectively. As a specialist known for his musical work with Japanese animation, he is regularly invited as a special guest to speak at conventions both in America and in Canada. Mason's educational goal is always to help inspire a vigorous passion for music in all of his students. 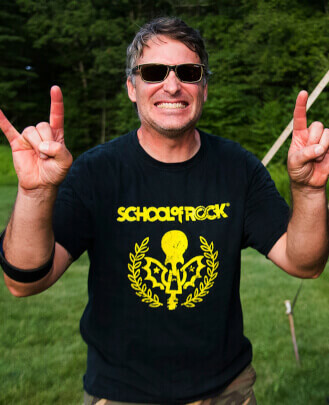 He is thrilled to be able to support the next generation of performers at School of Rock Lynn. Shawn's musical journey began at age 11 when his dad handed him a guitar and taught him a few chords. As he grew, so did his love for music. At 15, he joined a band, began writing music and playing original and cover songs at clubs and venues throughout New England. 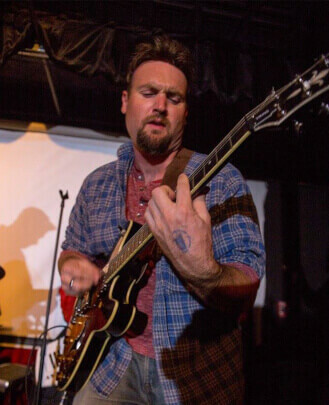 He studied jazz and classical music at Western Connecticut State University and earned a B.A. in Music Industry from the University of New Haven. After college Shawn formed several bands which eventually resulted in the formation of his current band, VulGarrity. The band has completed three nationwide tours, signed an artist development deal with MySpace Records and won first place in 95.5 WBRU's 2011 Rock Hunt. Shawn has shared the stage with The Prodigals, Ra, Robert DeLong, The Heavy, Ra Ra Riot and Electric Six. Shawn continues to record music and tour with his sister and VulGarrity bandmate Tracy. With the use of loop pedals, the two play guitar, bass, drums and keys simultaneously while singing, often switching instruments during their shows, creating a unique live music experience. While Shawn enjoys listening to and playing a wide variety of music, he is most inspired by all things rock.